MAX WAS BORN AND RAISED IN ROYAL OAK, MICHIGAN OUTSIDE OF DETROIT. WHILE STUDYING COMMUNICATIONS AND PUBLIC RELATIONS AT MICHIGAN STATE UNIVERSITY, MAX WAS A STUDENT-ATHLETE COMPETING IN BOTH CROSS COUNTRY AND TRACK & FIELD IN THE BIG TEN CONFERENCE. DURING HIS EARLIER YEARS OF COLLEGE, MAX WROTE SEVERAL ARTICLES AS A MEMBER OF THE SCHOOL SPORTS RADIO STATION. AFTER GRADUATING IN THE SPRING OF 2018, MAX WORKED AS A BRAND AMBASSADOR FOR THE DETROIT LIONS THROUGHOUT THE 2018 FOOTBALL SEASON. BEING FROM THE MOTOR CITY, HIGHWAY SAFETY IS EXTREMELY IMPORTANT TO MAX. 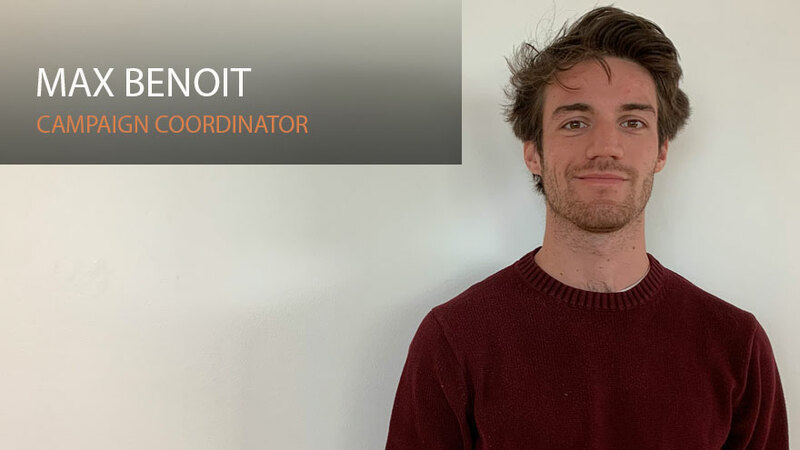 AS A MEMBER OF ALLIANCE, MAX HOPES TO GROW HIS EXPERIENCE IN MARKETING AND EVENT COORDINATING SO THAT HE CAN ONE DAY BE INVOLVED WITH ORGANIZING TRACK AND FIELD RACES OR BIG CITY MARATHONS.